Tui Bird (Prosthemadera novaeseelandiae) perching on native flax flowers (Phormium sp. ), to feed on nectar. 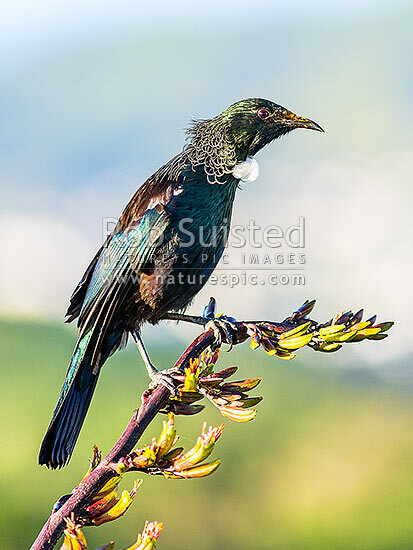 Note yellow pollen on beak, New Zealand (NZ), stock photo.